Co-op comic book card battles! 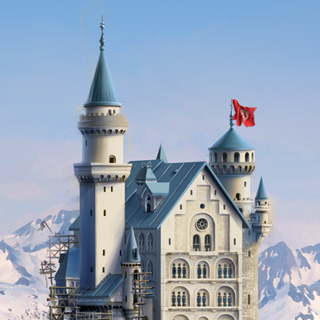 Expansion packs are available via In App Purchase. Save money with Season Passes and get all the content! • Mini-Packs 1-3 each contain a hero, a villain, and an environment. • Rook City, Infernal Relics, Shattered Timelines, and Wrath of the Cosmos each contain 2 heroes, 4 villains, and 2 environments. • Vengeance contains 5 heroes, 5 team villains, and 2 environments. 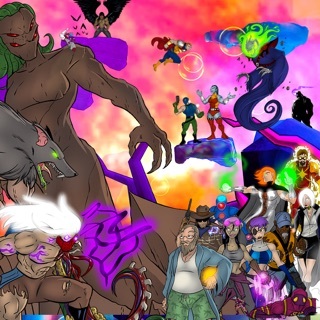 • Villains of the Multiverse contains 10 team villains and 4 environments. • Mini-Pack 4 contains 2 heroes, a villain, and an environment. • Mini-Pack 5: Void Guard contains 4 heroes. 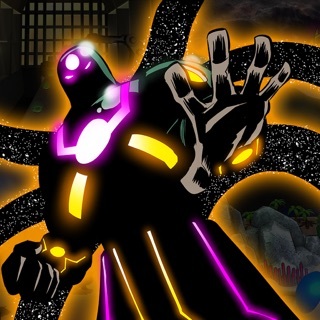 • OblivAeon contains 5 heroes, 5 environments, and the final Multiverse-ending boss battle. The recommended minimum amount of device RAM is 1 GB. Playing on an iPad 2, iPad mini, iPhone 4s, or iPod touch (5th gen) is possible but may result in a degraded experience. 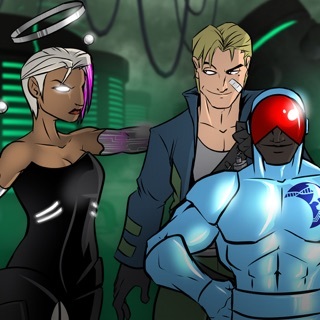 SotM: The Video Game is an officially licensed product of “Sentinels of the Multiverse®” from Greater Than Games LLC. The Evolution of Odd Allies begins on April 9th! Visit http://sentinelsdigital.com/oddallies to vote for your favorites and to learn more. This update includes many bug fixes and improvements. Thanks for your bug reports! You can send feedback from in-game in the Credits screen. • Fixed a problem when Dark Mind is destroyed with reward ongoing cards under her. • Phase 2 OblivAeon now properly adds devastation tokens at end of turn. • The Source of Foes shield now properly tracks Aeon Men being destroyed and moved under another card (such as Resurrection Ritual or Savage Mana). • When Void Guard The Idealist replaces a hero in OblivAeon mode and draws Monster of Id, it is now automatically played. • Fixed a problem that would occur when the power on Rudder in the Timestream was used with cards in only 1 or 0 trashes. • When Nixious is destroyed and flips To Hope For the Dawn, the card now goes to your hand. • Applied Numerology now properly affects Cosmic Weapon. • Fixed blurry images for Scions in the Multiverse. • Various other small bug fixes and improvements have been made. 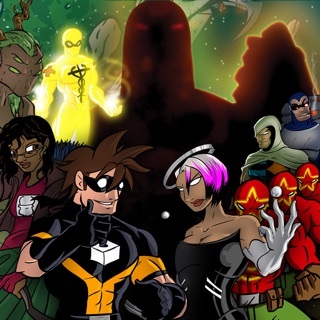 For those who are new to the game think of Sentinels of the multiverse as a card game where DC and Marvel characters and storylines are combined. Many of the characters and stories will immediately remind you of someone or something from those two companies. This is not to say that this game is some cheap imitation. Like a parent and child though they are traits that can be seen in both this game also has it’s own heart and soul! Now, for those of you who might be familiar with the game I use to own the physical boardgame and the shattered timeline expansion. The card game was fun but keeping track of the modifiers was a chore. Sometimes I would forget to factor in an effect from the villain or enemy card and I would have to go back an undo damage or add damage or apply some specific effect. The app is the preferred version that I play now since this fiddly element is completely automated. This game is really something special and the developers are quick to fix issues and provide new content. This is a game that has legs and you will come back to it in the long run. For the great support and fun experience the cost of admission is well worth it! Again to the developers and producers thank you once again for this gaming gem! 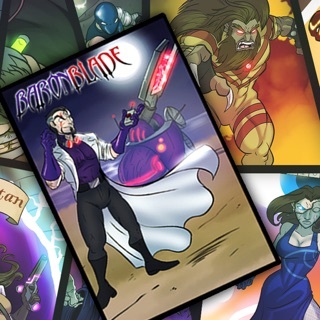 Sentinels of the Multiverse is one of my favorite board/card games out there, and I love this digital version. At least one reviewer has complained about the price of the app, but I’m glad the developers have the conviction to ask a fair price. The base game allows lots of replayability, and the expansions allow for far more variations on the game than I could ever have time to play. I own the Season 1 expansion and intend to buy Season 2, but I still have lots of variants to unlock from Season 1, so I’m not rushing. I also have and love the analog version of the game, but I think I prefer playing the digital version, which has certainly made me understand the game better. One thing I do wish the developers could somehow add, to assist them in the claim that this version is the “ultimate rules lawyer,” is a kind of sandbox mode. I’d like to be able to set up a situation in the game — put certain heroes and villains into play with particular cards active — to see how it plays out and whether cards will affect each other as I believe they should. That would be handy. Sentinels of the Multiverse was the board game that got me into hobby gaming. Now that I have a young child at home, I find it harder and harder to have the time to set up and play the physical game. 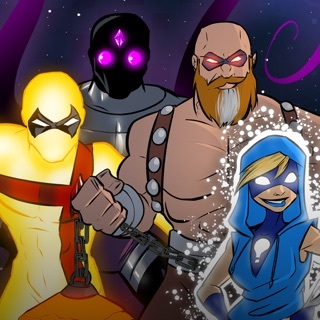 However, the Sentinels app has been quite an addition to my digital library. I can speed through a game in my spare time, and come back to the same setup if I don’t have time to finish it in one play session. The base game has some of my favorite characters in the whole game, and the community for this game in friendly, and helpful in finding out the secrets to beating some of the harder villains, as well the multitudes of variants that are available. Also, the developer is faithful in catching bugs and updating everything, to make the game functional on phones to tablets, even allowing players with different content to still join games and determine together what content to play. I’ve bought all of the additional content and plan on supporting this developer and game well into the future. Do yourself a favor and grab this game as soon as you can. Dr. Medico, The Idealist, Mainstay, & Writhe. 41 decks, more than double the base game! More heroes, villains and game modes! © 2014-2019 Handelabra Games Inc.